Norvan Fullerton, left, Ananda Lawkaran and Ralph Maraj. 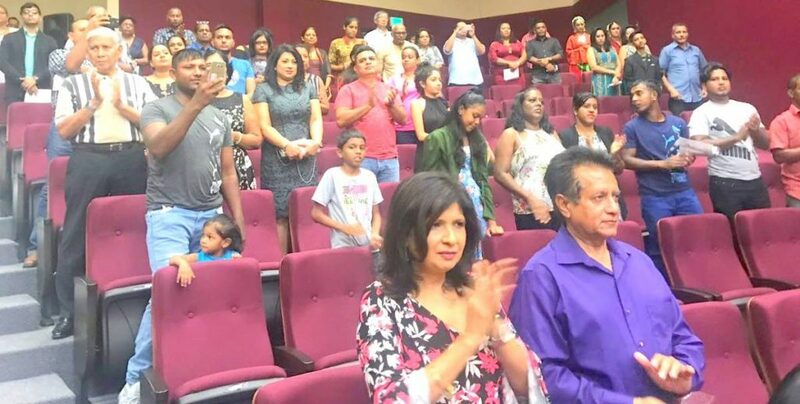 PRESIDENT of the newly formed National Lotus Theatre (NLT) Shami Maharaj joined with members of his executive to honour three people who have excelled local in theatre arts. The awards were launched at the Chaguanas Borough’s auditorium on July 29. 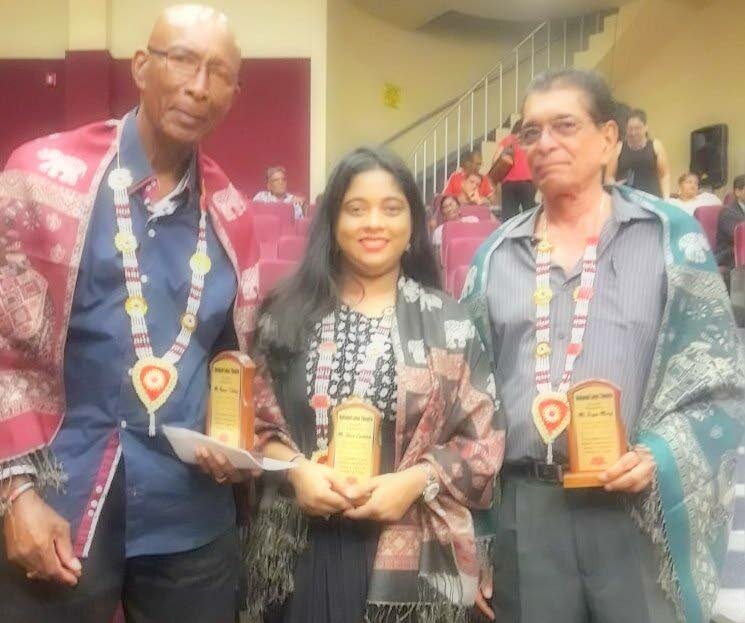 The NLT honoured veteran playwright, actor and former politician Ralph Maraj, leader of the famed Malik Folk Performers Norvan Fullerton, and Anand Lawkaran, who acted in the films Bazodee and Green Days by the River. On receiving his award, Maraj said the ceremony is very important, as it is not very often people in the arts are honoured in TT. “If it is one area that demands discipline, resilience, commitment, dedication, hard work, conviction and courage it is the arts,” Maraj said. To do it in an environment like TT, he said, is much more demanding. Local artistes really work for a better society, Maraj told his audience, and the driving force is the establishment of a reformed society and a refined civilisation. “Without the arts there is no refinement,” he said, adding there is no a civilisation if one does not focus on the arts. “You may have a nation, you may have a country, but that does not mean you have a civilisation,” he reiterated. He thanked the organisation for the honour and pledged support for any future endeavours by the group. Fullerton said he was extremely happy to be honoured by the Lotus group and outlined his efforts in bringing the various disciplines of Indian culture to the Prime Minister’s Best Village Competition through the years. Maharaj said the NLT, based in Corinth, San Fernando, is a voluntary association whose aim is to develop, promote and teach drama as it relates to local culture. The group intends to host drama and theatre productions throughout TT and the wider Caribbean. “We want to establish and host drama productions and programmes for the purpose of providing assistance in the development of scriptwriting, acting skills and hosting of theatrical production in the country,” Maharaj said. Reply to "Awards for Maraj, Fullerton, Lawkaran"